At the Olen Law Office, attorney Elliot Mark Olen understands the importance of the bottom line. As a long-standing proactive contract lawyer, seasoned negotiator, and litigation attorney, he can help you weigh the cost/benefit options of various approaches. Scorched earth litigation is rarely the best economic decision. Litigation is costly, unpredictable, and a distraction from day-to-day business needs. It is far more cost-effective to address potential business problems before they occur, with effective and enforceable contracts and established business protocols. Then, when problems do arise — as they inevitably will — you are in the best position to leverage that position and/or bring a winning case to court. Protect your business interests with solid advice and back-up. Planning today means safety tomorrow. That’s the added value you receive when you work with an experienced business lawyer. One familiar with all important aspects you are likely to encounter at stage of your business. In addition to his focus on business matters, Mr. Olen also represents clients who are dealing with matters ranging from Commercial and Industrial Real Estate, as well as Business Succession. That includes business owners, management/executives, and other individuals needing assistance in related matters – notably general civil lawsuits, Orphans Court disputes, and Estate/Trust Planning and Administration. Hundreds of these matters were Bucks County related, an area of concentration for the Olen law office. Elliot Mark Olen has practiced law in the Fairless Hills area of Oxford Valley and surrounds since 1978. 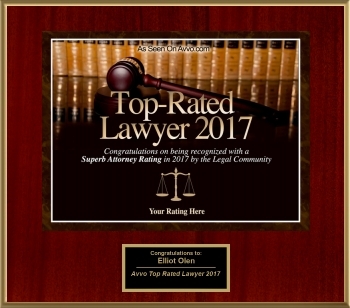 Every client who comes to our firm works directly with Mr. Olen; that way a client can benefit from the decades Attorney Elliot has spent honing the multiple skills needed to effectively handle business matters – analysis, implementation, and protection. You can also benefit from his strong professional and personal ties in the community. From our office in Fairless Hills, we represent clients throughout Bucks County and the Philadelphia Metropolitan area. The bulk of our clients are located primarily in nearby suburbs ranging from Yardley, Lower/Upper Makefield/Washington Crossing to Fairless Hills Pennsylvania, Langhorne, and Newtown. But we also regularly service the legal needs of those in other Bucks County areas like Bensalem, Southampton, Bristol, Warminster and Richboro; and adjacent areas like Huntingdon Valley and other Eastern Montgomery County areas. We have also served clients from 3 foreign countries and at least a dozen states throughout the U.S. Contact us today to discuss the wide range of legal services we provide. We can be reached by calling 215-943-5343. For your convenience, we are able to conduct business online. We accept all major credit cards.